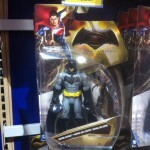 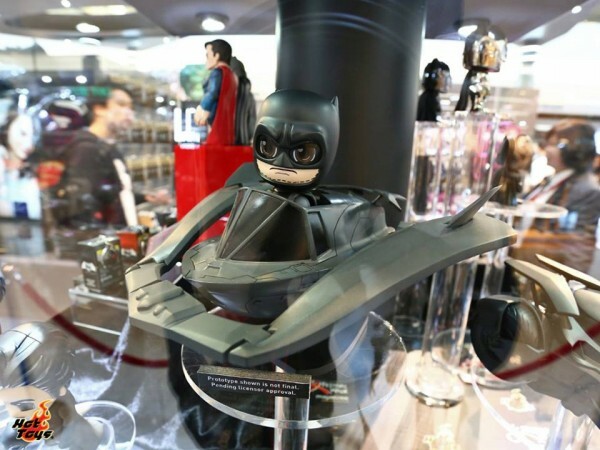 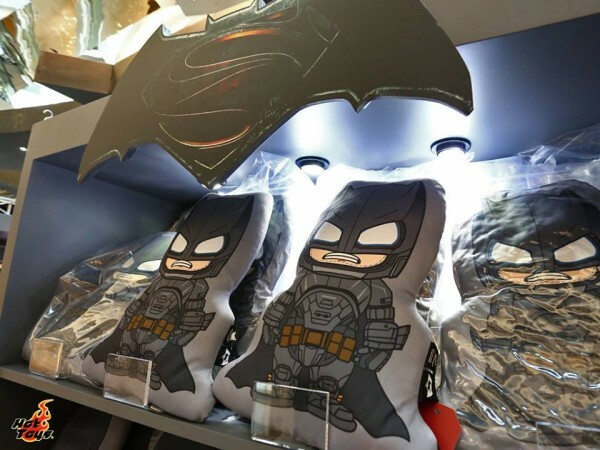 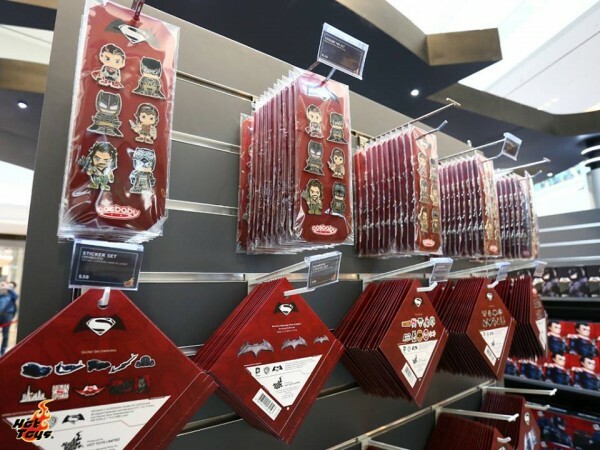 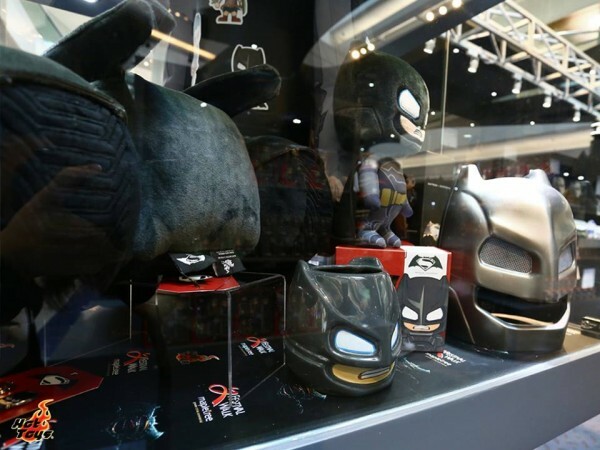 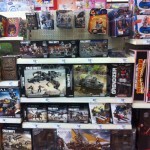 Mais également son stand et ses produits dont les Action doll deluxe à l’échelle 30cm de Superman, Batman, également exposé la nouvelle batmobile et les nouveaux jouets de collactions. 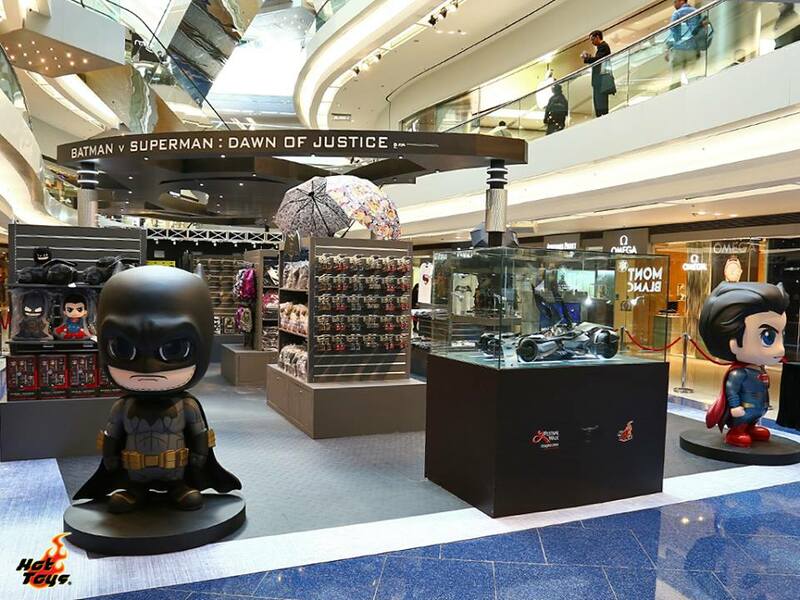 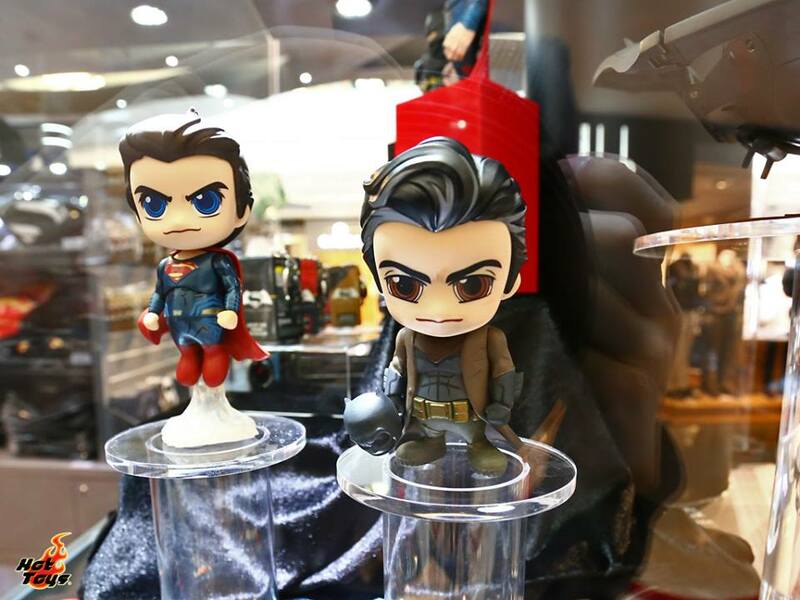 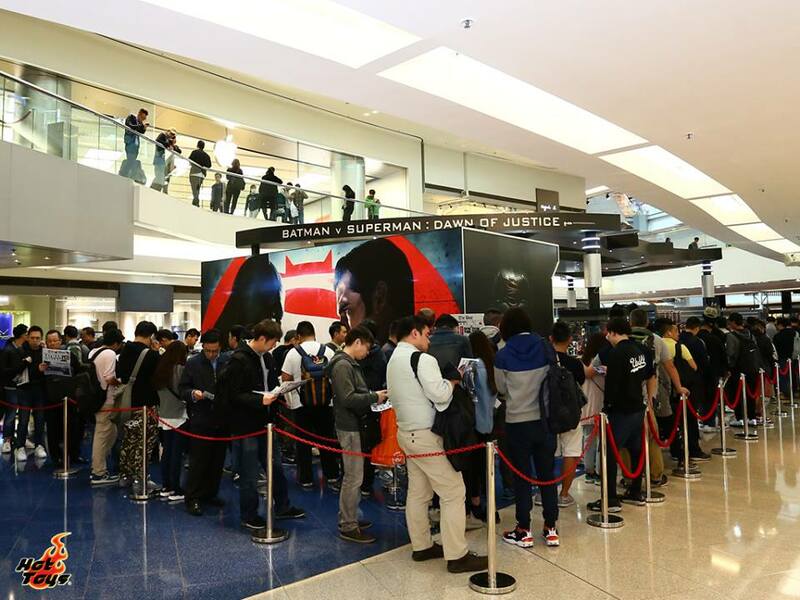 The “Batman v Superman: Dawn of Justice x Festival Walk Mall Event Powered by Hot Toys” has officially started today in Kowloon Tong, Hong Kong! 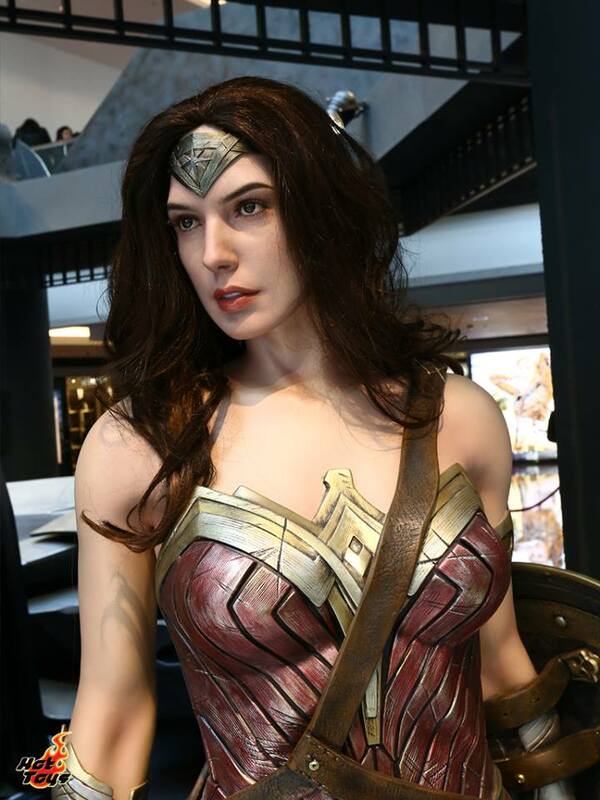 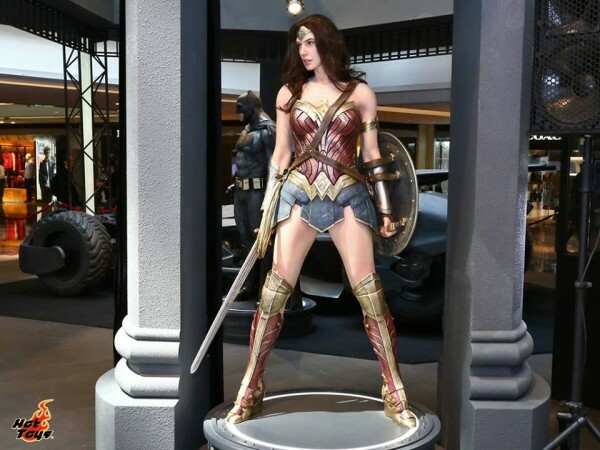 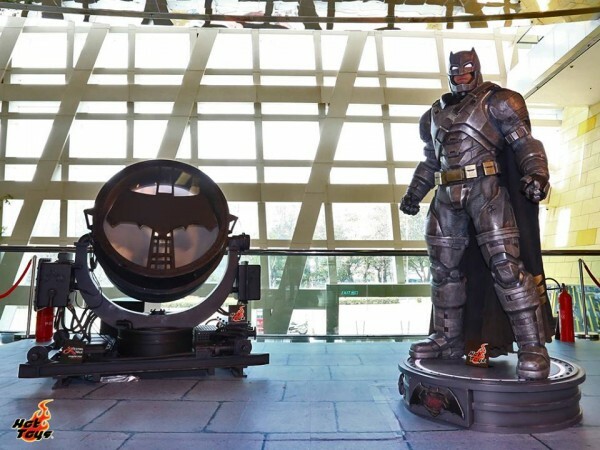 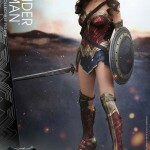 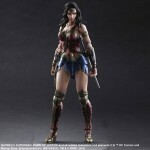 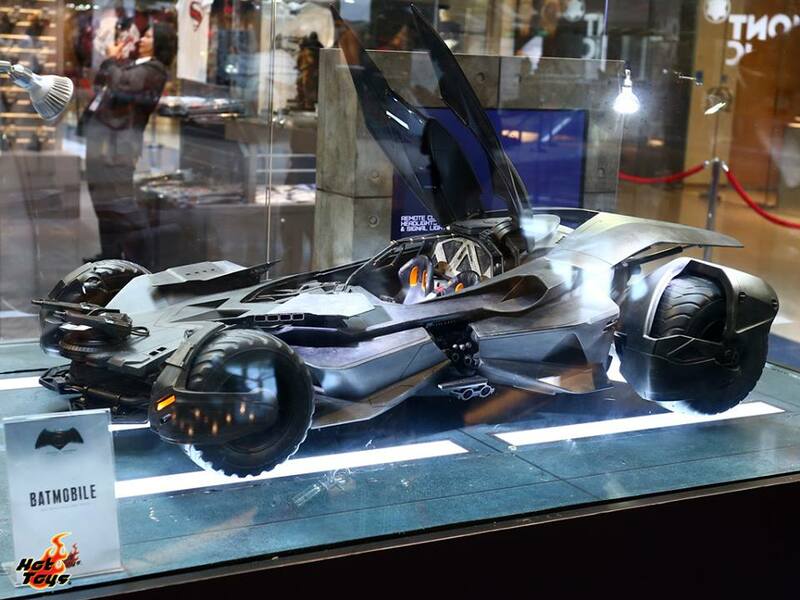 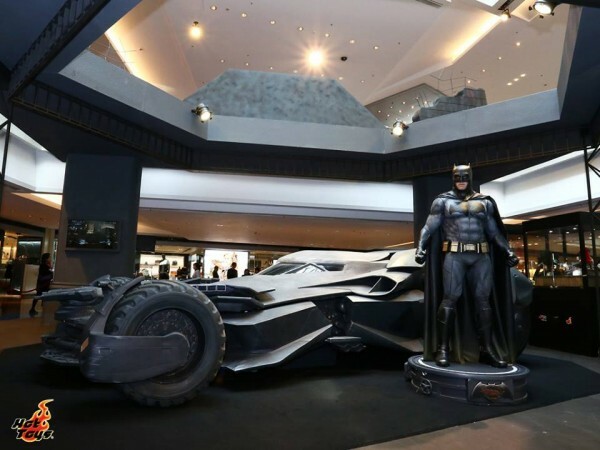 In this event, Hot Toys has created a spectacular life-size Batmobile together with the stunning life-size statues of Superman, Batman, Armored Batman with Bat-Signal, and the highly anticipated Wonder Woman! 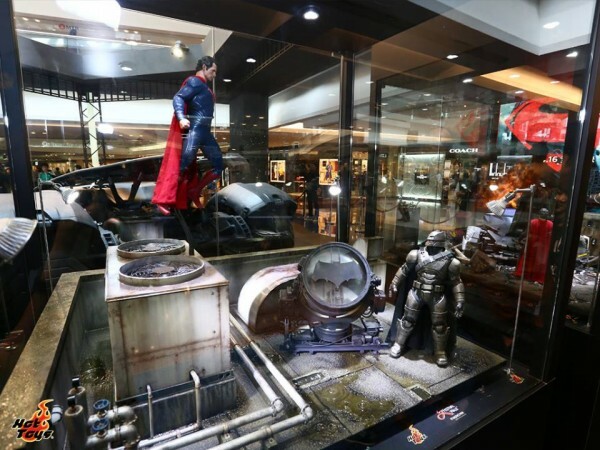 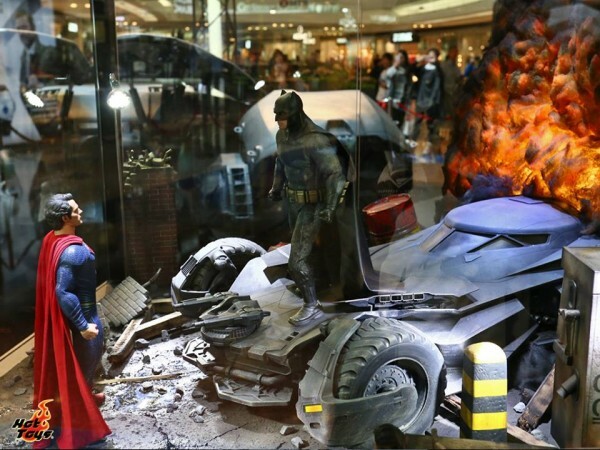 In addition to the amazingly detailed 1/6th scale Batmobile and collectible figures of Batman and Superman, 3 remarkable 1/6th scale dioramas featuring the memorable scenes from the movie’s trailer are showcased for fans to enjoy! 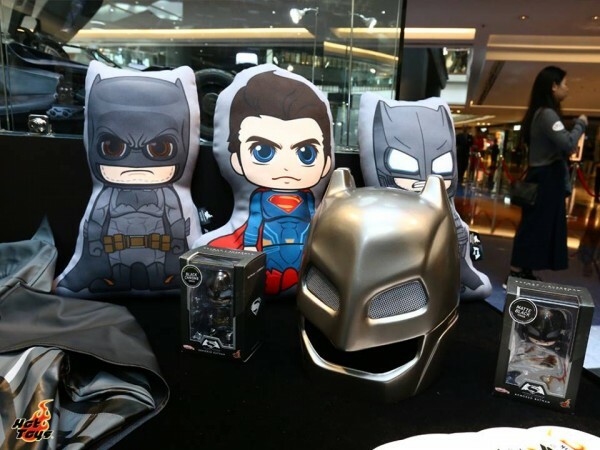 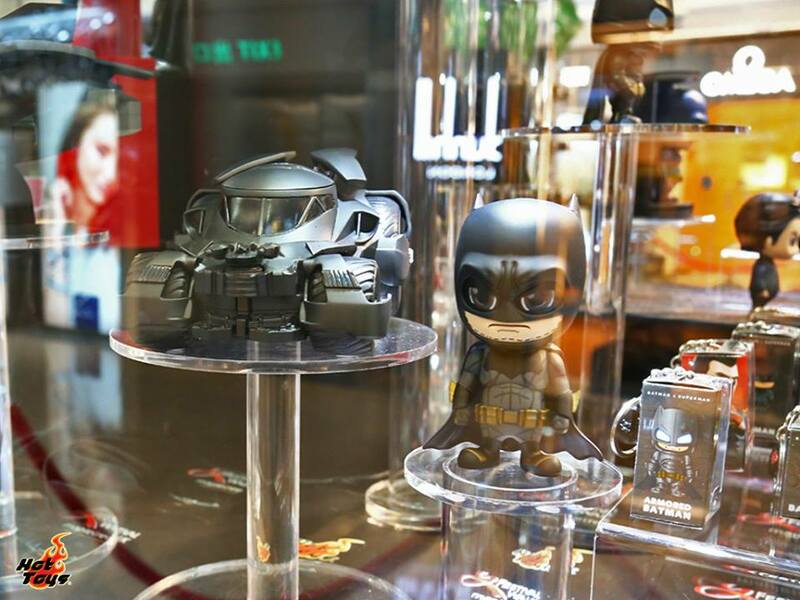 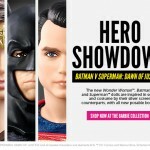 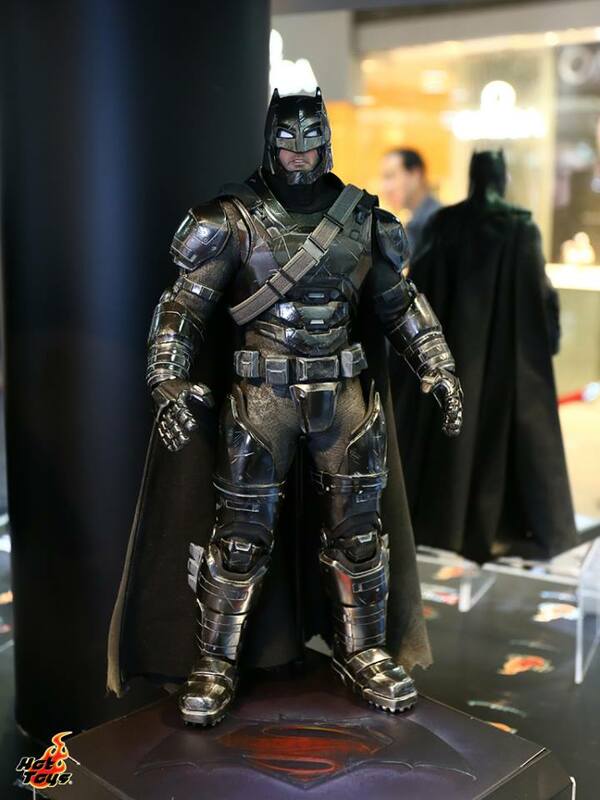 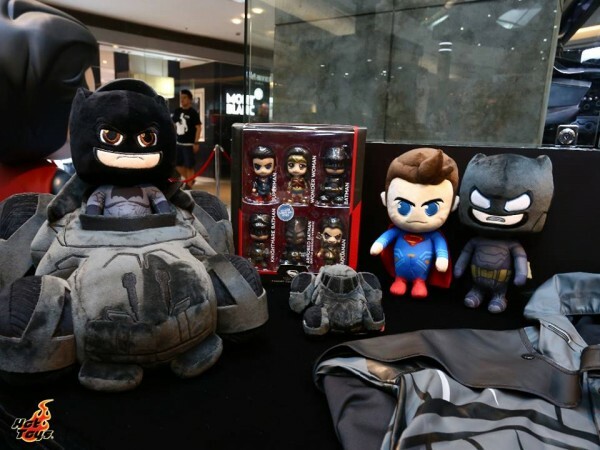 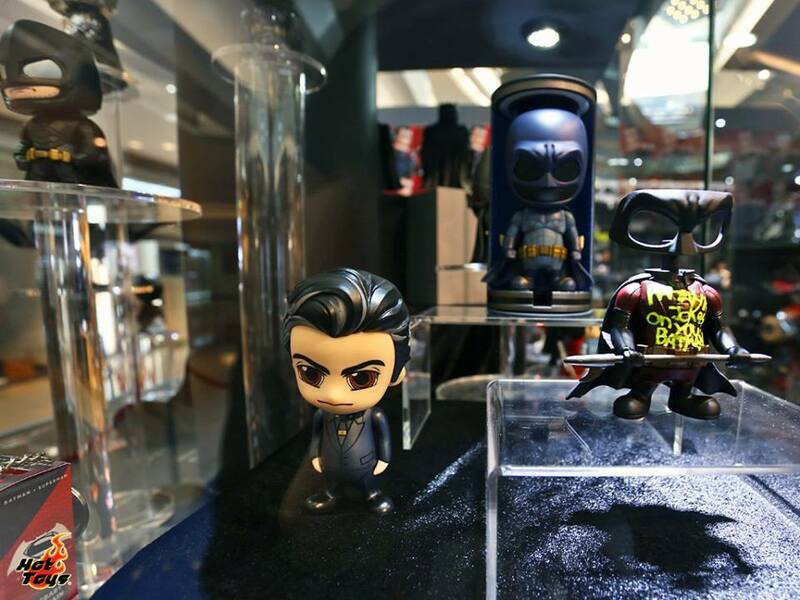 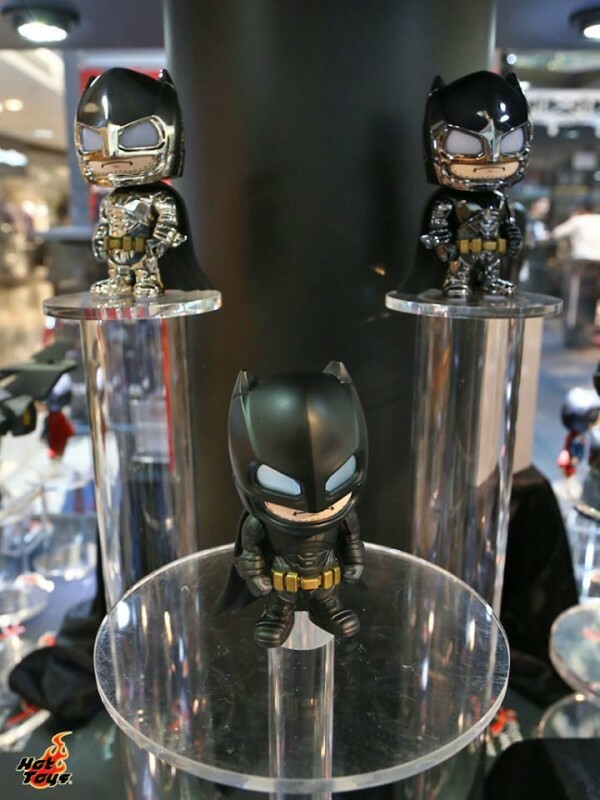 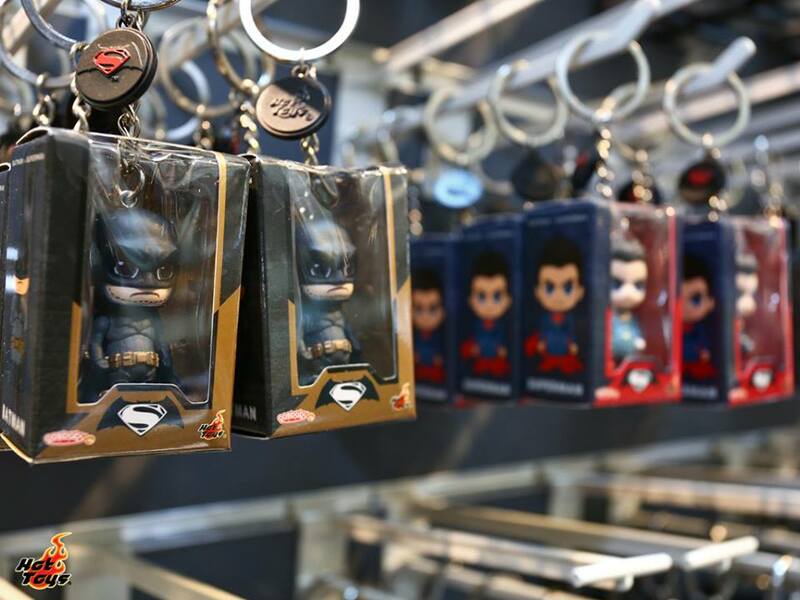 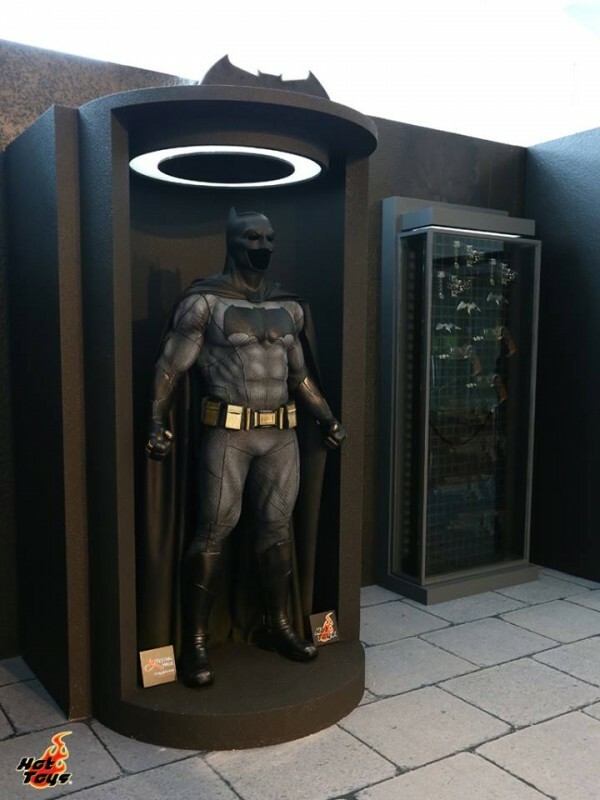 Many fans have also queued up at our event’s pop-up store to pre-order the recently announced Armored Batman (Black Chrome Version) 1/6th scale collectible figure and also purchase the newly introduced Batman v Superman : L’aube de la Justice series Cosbaby as well as a number of specially designed premiums and movie merchandises! The event begins today and runs until April 10 in Festival Walk. Fans in the city, don’t miss the chance to come visit us and experience the great excitement of this epic film! 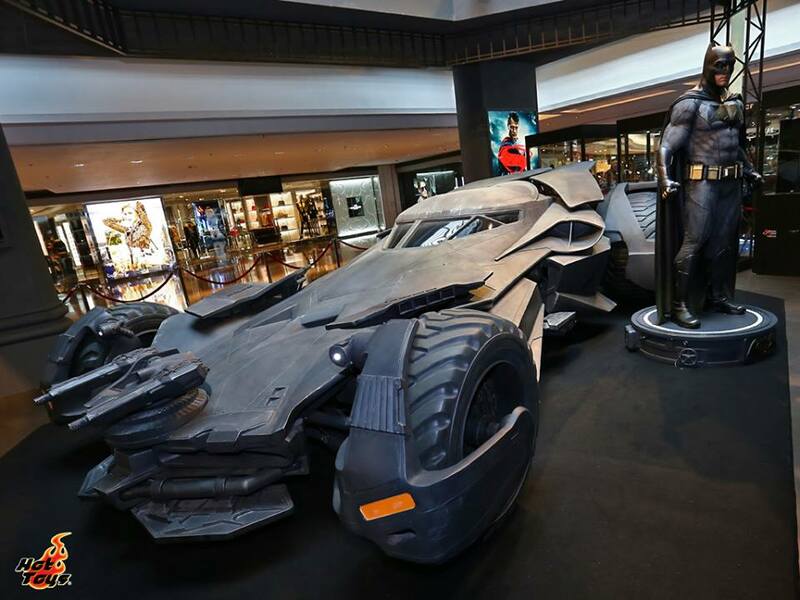 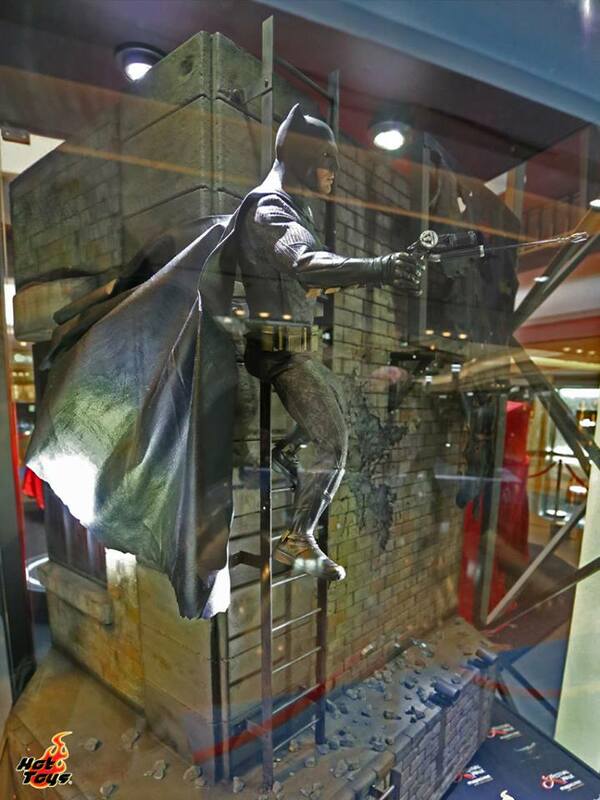 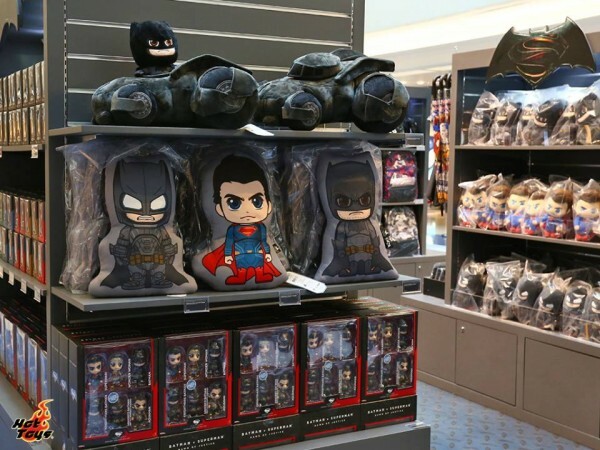 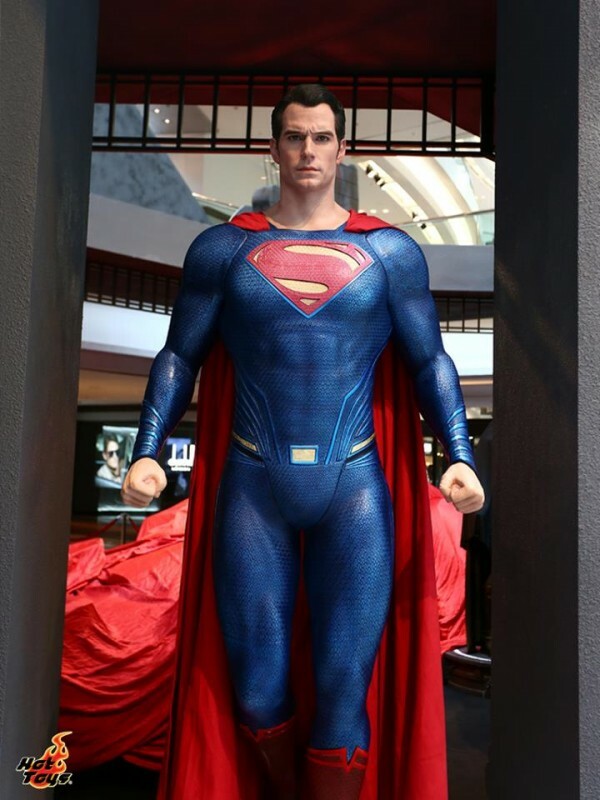 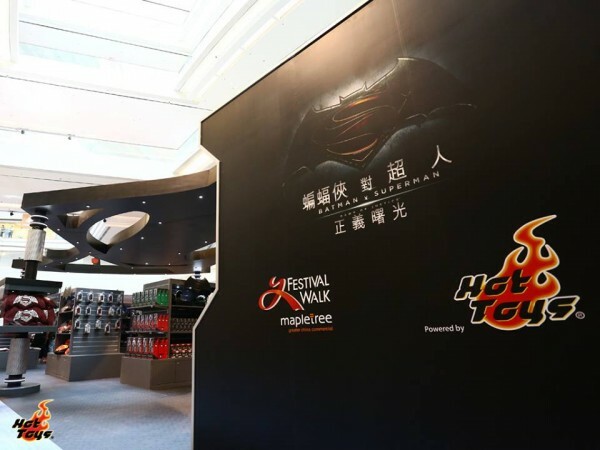 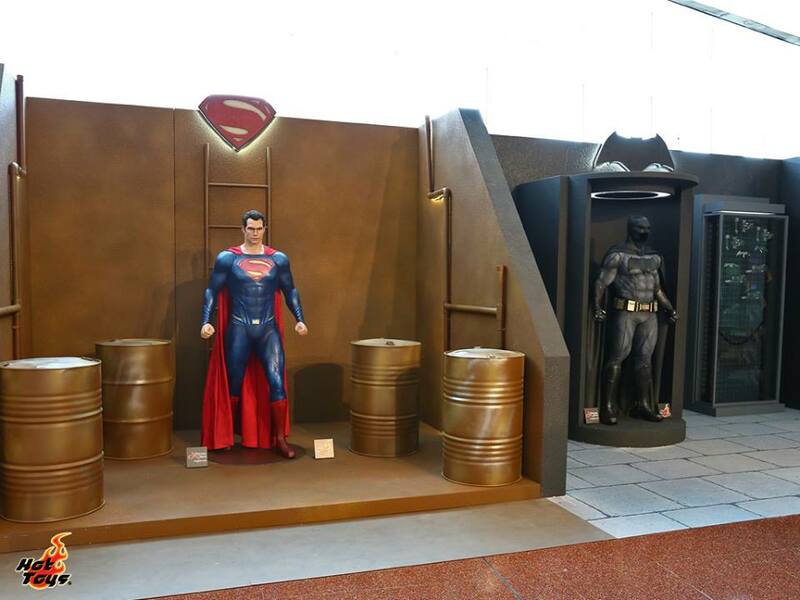 1 Response à " Batman V Superman à l’honneur au Festival Walk Mall de Hong Kong "